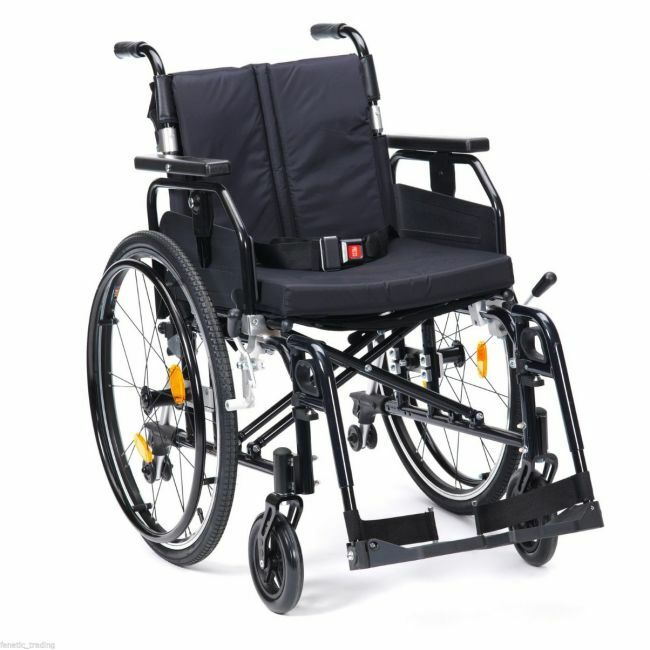 Travel effortlessly on a wheelchair packed with features for your safety and convenience. The Enigma Super Deluxe 2 self propelled wheelchair is designed for occasional or frequent use, and can be used indoors or outdoors. This robust wheelchair gives its user the independence to move with or without the help of a care person. All Enigma wheelchairs are manufactured to the highest quality and are CE compliant. Drive Medical is an ISO 9001 and ISO 13485 certified medical device manufacturer.